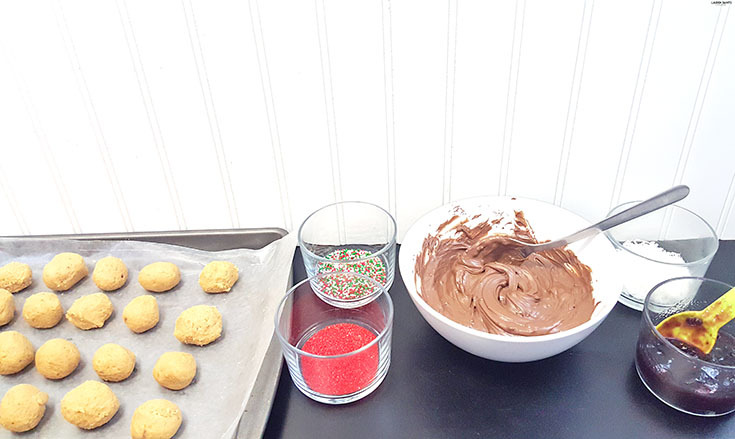 Creamy, with a little bit of crunch, covered in chocolate and coated with sprinkles... What's not to love about an elevated version of peanut butter balls? I've always had a thing for the delicious little pieces of heaven my grandmother tends to make only around the holidays. They are like gold in my family, we literally divide them into equal portions for each of us girls and we each take a bag home... They are that good! 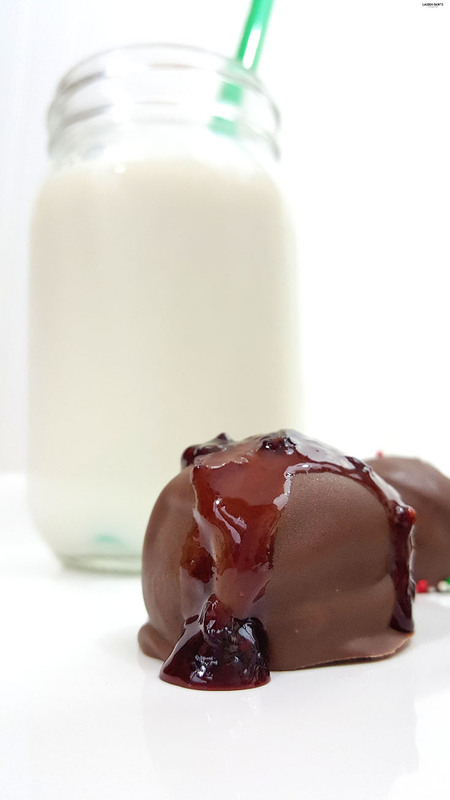 But the thing is, my tastes have changed as I've gotten a little older and I was looking for something to give these balls a little more oomph... so today I'm sharing how I elevated one of my favorite recipes from good to amazeballs, with the help of Peter Pan Simply Ground Peanut Butter! 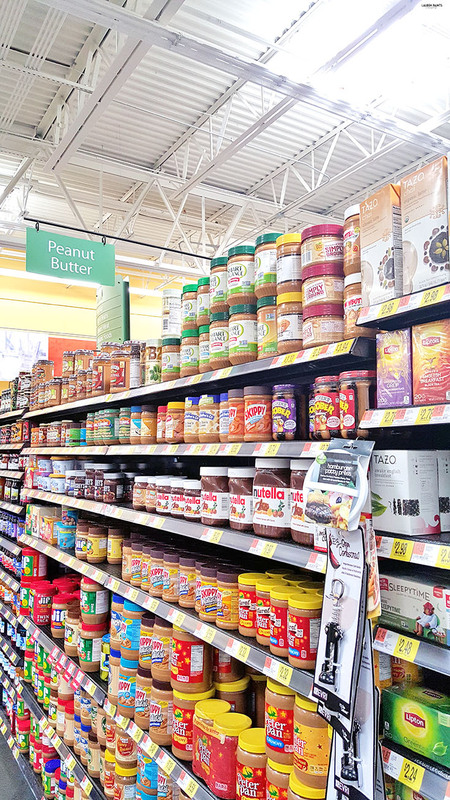 Why is this peanut butter better than the others? It's the perfect mixture of creamy and crunchy, with a taste that you'll crave! Plus, it has no artificial flavors, colors, or preservatives! 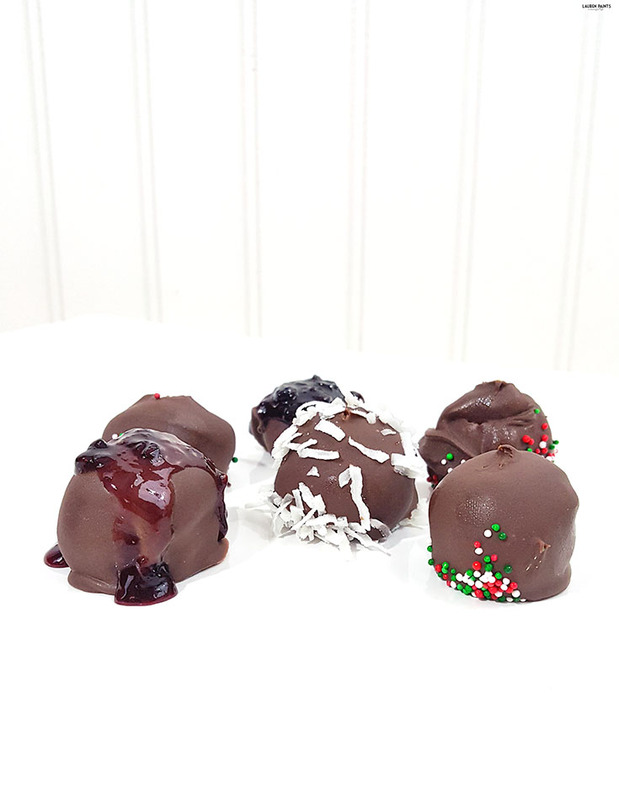 I not only changed the recipe for the peanut butter balls by choosing a better peanut butter; I decided to add sprinkles, a fruit preserve drizzle, or a tiny pinch of coconut to my peanut butter balls as well. This recipe really is amazing and you can grab everything you'll need in one quick run to Walmart! Sprinkles, Shredded Coconut, Fruit Preserve or other "toppings"
You'll be happy to find out this recipe is super easy! 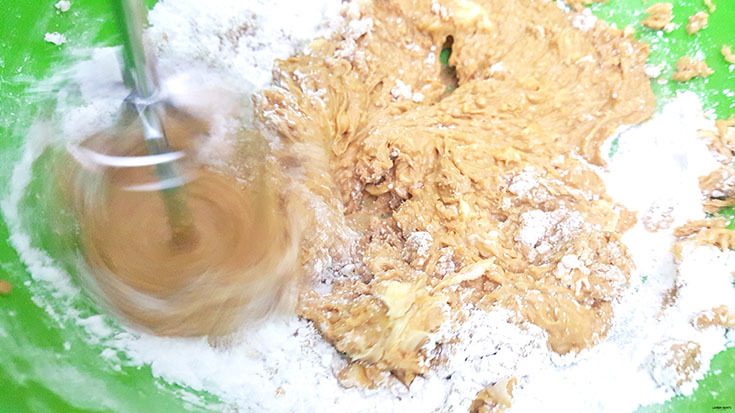 You'll begin by mixing the peanut butter and butter together with a handheld mixer. Once combined start slowly adding in confectioners sugar, about 1/2 cup at a time. 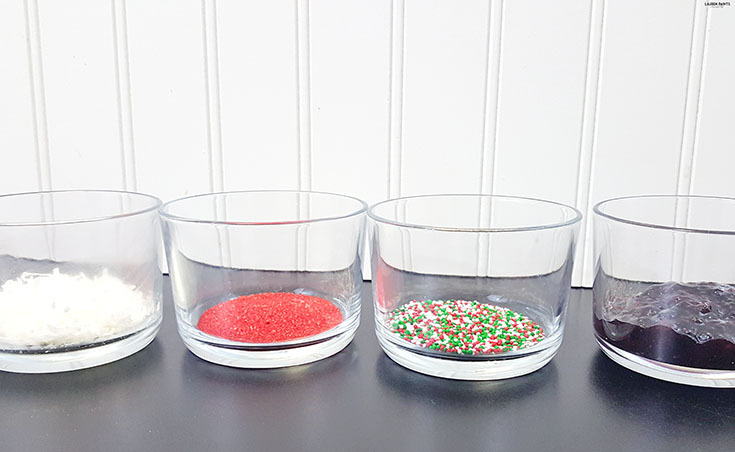 Once all of the confectioners sugar is added into the bowl, continue mixing until the "dough" starts to form one giant ball. Place in your refrigerator for at least an hour, maybe longer if you live in warm climate like Florida. Now remove the giant peanut butter ball from the fridge and try to refrain from eating it! 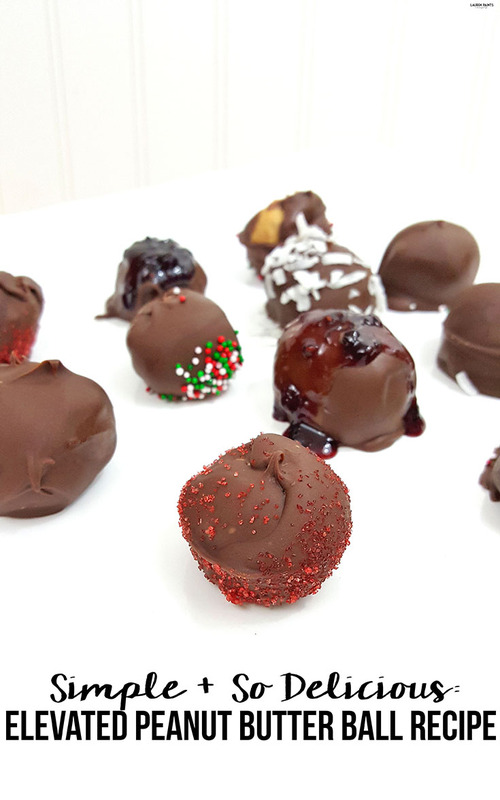 You'll want to start rolling about 1inch sized balls, placing them onto a wax covered cookie sheet. 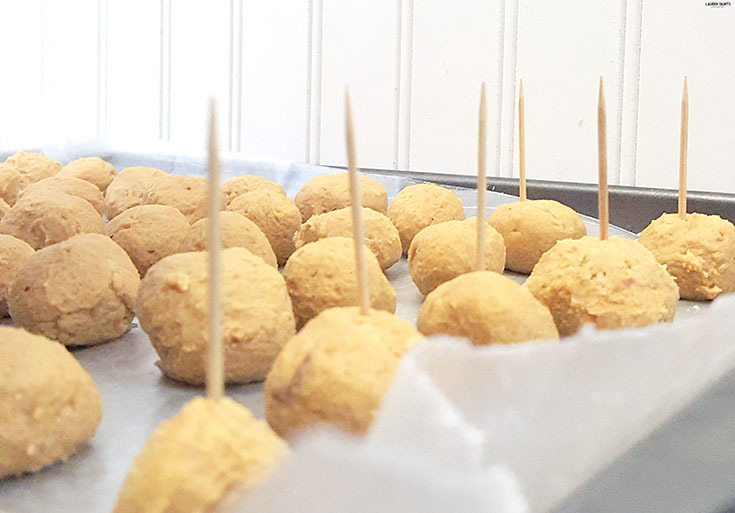 Once all the dough is rolled, you'll want to place your peanut butter balls back into the fridge until they feel dense and chilled to the touch. 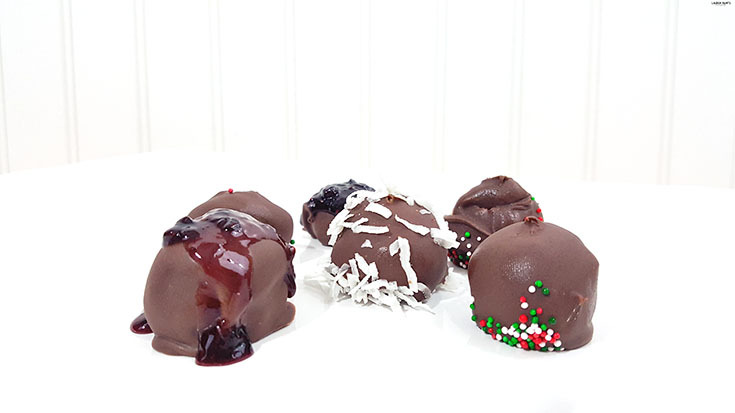 Once your PB balls fit this description, you'll want to begin melting your chocolate according to package directions - although, I will mention that I tend to add in 1 tbsp shortening to make it easier to coat the PB balls! 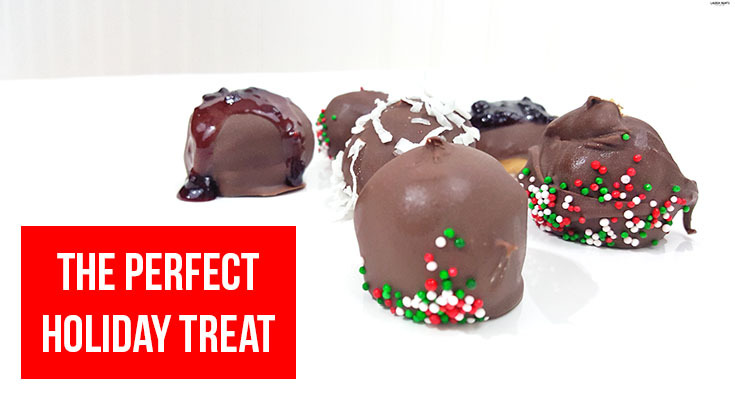 Once the chocolate is melted, remove the PB balls from the fridge and place a toothpick in each one and begin dipping into the melted chocolate quickly. 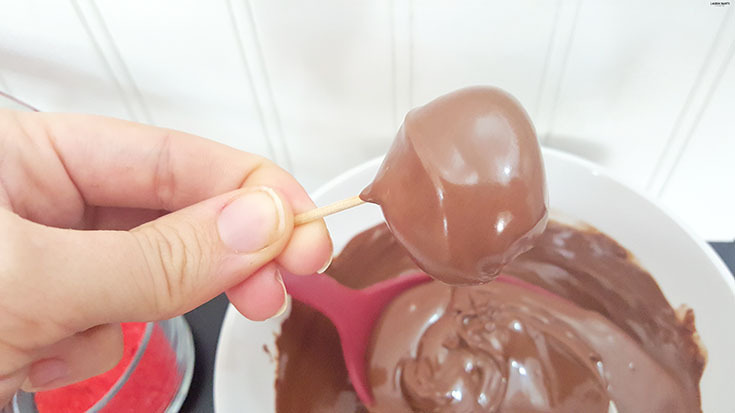 Using a large spoon and drizzling chocolate with the other spoon seems to be the easiest way to coat a peanut butter ball... and here's a little tip to prevent a mess: holding the ball in the left hand, tap your left wrist with your right hand. 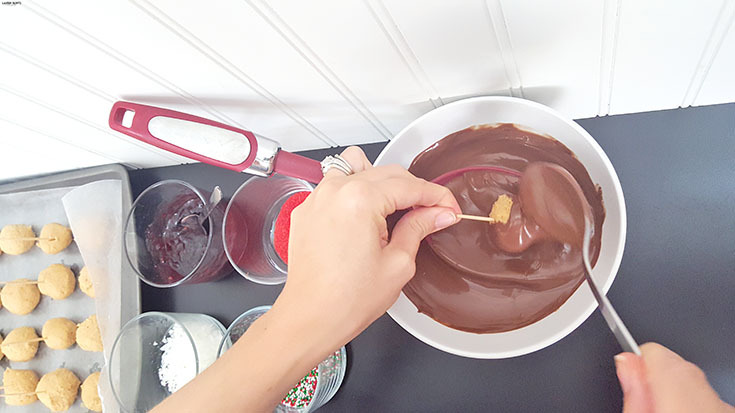 This slight tapping motion is the only way to rid your peanut butter ball of access chocolate without making a mess, you can thank me for that later when your counter tops aren't covered in chocolate splatter! 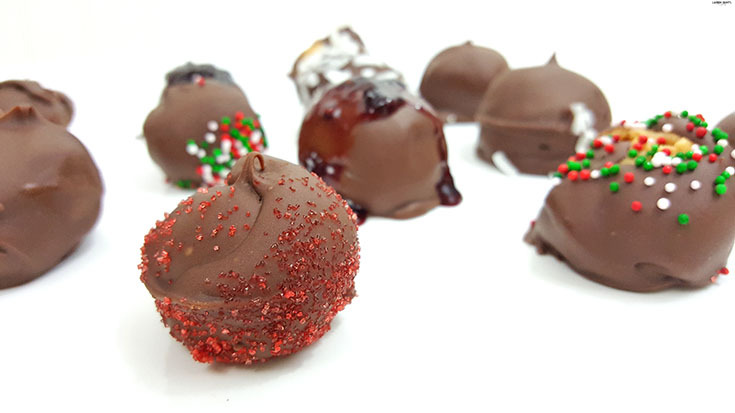 Now quickly add sprinkles or coconut to the peanut butter balls of choice, drizzling a few with a room temperature fruit preserve as well. Place back into the refrigerator for a few hours and they're ready to serve and so delicious! It's that easy to get these amazing little treats ready for your next event. 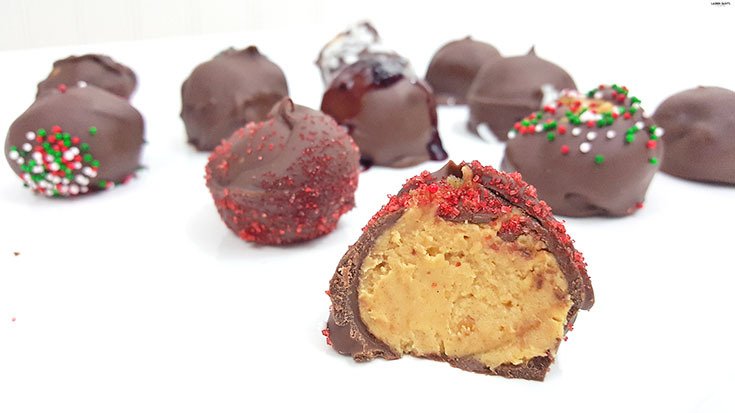 Whether you are looking for a way to treat your family this Thanksgiving or wanting to surprise your family with a homemade treat for Christmas, this super easy peanut butter ball recipe using Peter Pan Simply Ground Peanut Butter is the answer! So tell me, what recipe will you add this creamy, yet slightly crunchy peanut butter to? I love anything that involves peanut butter so I can't wait to hear all about your delicious PB-inspired ideas! 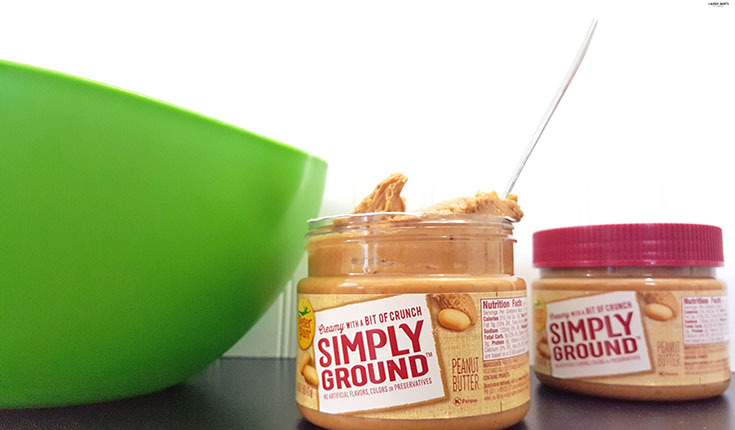 Don't forget to snag this coupon for 50 cents off your next jar of Peter Pan Simply Ground Peanut Butter!